Mr. Min Byung-Il (left) talks with Khaled bin Sulayem, director-general of Dubai's tourism department. 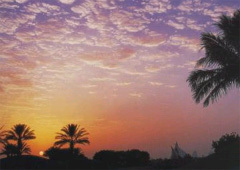 Dubai, UAE — Dubai has something for everyone — from the holidaymaker who is simply seeking a relaxing break away from the clouds and crowds to an active tourist looking for a new and exciting experience. "We have superb facilities for sports, shopping, dining and entertainment; and Dubai is well-equipped to cater for the diverse needs of individual travelers, families or incentive groups," Khaled bin Sulayem, director-general of the Dubai Department of Tourism and Commerce Marketing (DTCM) said. In an interview with the Seoul Times on Jan. 26 at his office in downtown Dubai, he expressed hope that more Korean tourists would come to visit Dubai to experience something 'different' as the traditions of Arabia are never far away from the modern day Dubai. "This fascinating blend of modern and ancient is a key factor in Dubai's development as a tourism destination," says Khaled bin Sulayem. During the first nine months of 2003, Korean visitors to Dubai numbered 10,995, an impressive jump from 4,583 in 1999 and 10,934. Although figure is a far cry from visitors from Japan and European countries, he said; "Korean tourism market has huge potential and that is why DTCM attaches a growing importance on Korean outbound market." Dubai International Airport continues with a double-digit growth for the year 2003. A total of 18.06 million passengers passed through the airport, registering a growth of 13 percent over the 15.9 million in 2002. Cargo movement registered a 21.5 percent growth of with total freight movement of 939,966 tones in 2003 as compared to 784,996.93 tones in 2002. Despite war in Iraq in 2003 and terrorism elsewhere in the Middle East, Dubai enjoys safety and security earning name as the world' safest destination. Dubai's success in tourism development in a relatively short time is the result of the visionary leadership of His Highness Sheikh Mohammed Bin Rashid Al Maktoum, crown prince of Dubai, defense minister of the UAE, according to DTCM Director General Khaled bin Sulayem. "Our success had not come on a gold platter but was the fruit of years of hard work, commitment, dedication, and long-term planning of DTCM under dynamic leadership of HH Sheikh Al Maktoum," he said pointing out that Dubai enjoys a distinguished position in the world tourism industry. Elaborating on Dubai's efforts towards tourism development, he went on to say that the aggressive marketing and promotions have resulted in the number of visitors to the UAE increasing from 1.2 million in 1990 to over six million in 2002. The World Tourism Organization has praised the UAE for posting a record growth of over 30 per cent in arrivals in the year 2002. Marketing plays a crucial role in the development of tourism industry and has resulted in the success of Dubai Shopping Festival (DSF) and Dubai Summer Surprises, among others. 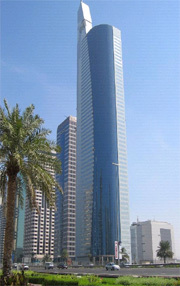 Duty-free shopping is synonymous with visiting the UAE. All of the airports have duty-free shops, however two of the largest, at Abu Dhabi, Dubai are particularly famous. Dubai Duty Free is recognized as being one of the best in the world, if not the best. The shopping complex in the central foyer of the new concourse with its spectacular design and myriad product ranges is a unique shopping experience. Dubai Duty Free stocks a massive range of cosmetics and perfumery, jeweler, electronic goods, music, tobacco goods, and duty free beverages. A well-stocked bookshop offers everything you could wish to read on a plane ranging from international bestsellers to locally published guidebooks and coffee table publications. The range of clothes is not enormous, so it would be better not to leave clothes shopping to the last moment, he explained. Hamad Mohammed bin Mejren, DTCM Manager Missions, in the meantime, said the year 2003 had been a challenging but rosy year for the Dubai tourism industry despite the political unrest in the region brought about by the war on Iraq and terrorist attacks in Saudi Arabia and Turkey. Prospects for 2004 show an upward trend as currently. 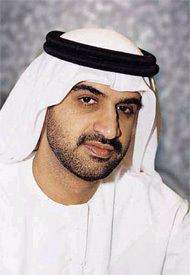 Dubai's tourism growth has been well on track, encouraged by the heavy investment in this sector, he said. The current 272 hotels in Dubai are expected to increase by at least a further 120 properties in the next 15 years. The Palm, Dubailand, and Dubai Festival City are among the ambitious projects that are set to broaden the appeal of Dubai as a year-round business and leisure destination, he went on. Dubai's five billion dollar project to offer the Middle East a theme park similar to Disneyland is getting underway. The project includes a sprawling 750-million-dollar water resort, the largest in the region. "The Aqua Dubai will add value to Dubailand, the region's most comprehensive and largest tourism, leisure, and entertainment development and will offer the best in water-based entertainment facilities seen anywhere in the region, and most probably among the best in the world," he said. Aqua Dubai will boast a water park, a large-scale resort, a luxurious spa, water shows, a museum and aquarium as well as a games complex and restaurants. The "Dubailand" theme park will consist of 45 different developments with labels such as Aviation World, Motor Racing World, Arabian Theme Park, Pharaohs Theme Park, Snow World, Dinosaur World and Sports City. It will be built on a two-billion-square-foot (185-million-square-meter) swathe of desert, off the main road linking Dubai with Sharjah and Abu Dhabi, the capital of the seven-member United Arab Emirates federation of which Dubai is part. Dubai's location makes for easy accessibility. London is seven hours away, Frankfurt six; Hong Kong eight, Seoul 11, and Nairobi four. Wide choice of carriers, some 90 airlines including Korean Air, provide direct air links to over 130 cities including Incheon worldwide. One of the world's leading intercontinental transit centers, Dubai International Airport, is modern, efficient, rapid immigration, and customs formality. He said the Dubai has been a sought-after venue for meetings and conferences given its impressive infrastructure and world-class facilities for holding such gatherings. 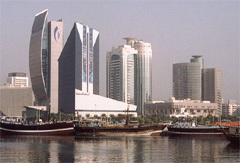 The joint meetings of the IMF and World Bank held in the UAE in September 2003 had been the most successful-ever meetings in the history of these organizations. For this writer, there seems to be something for everyone from the Gold shop at Dubai International Airport. I found a glittering selection of 18, 22, and 24kt gold in a multitude of designs and styles, from the simplest gold chains to ornate bangles and necklaces there before boarding Korean Air flight back to Incheon on Jan. 25. A shopkeeper told The Seoul Times that gold accounts for around 12 percent of Dubai duty free sales. The marketing campaign and road shows of the DTCM have played a major role in unprecedented growth of the tourism sector. DTCM said that the total number of hotel establishment guests in the emirate went up from 1,918,471 in the year 1996 to 4,756,280 in 2002. 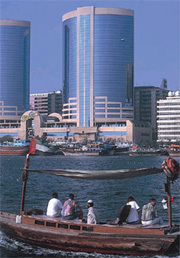 Dubai hotels registered an occupancy rate of 77 percent for the rolling 12 months to end of August 2003. The current 272 hotels in Dubai are expected to increase by at least a further 120 properties in the next 15 years. Free of tax, many top brand name products are cheaper in Dubai than in the countries of their origin. For Korean tourists, particularly those who are in upscale, Dubai is the right choice of destination for sightseeing and shopping, says a Korean tourist who happen to be seated next to me when this writer on board for Seoul-bound Korean Air. Mr. Min Byung-Il serves as editorial adviser for The Seoul Times. He was former managing editor and executive director of the Korea Herald. Min has also been serving as resident correspondent for Emirates News Agency (WAM) of the United Arab Emirates since 2001.